Amazon Prime Video Asks India's Top Comedians To STOP JOKING In Their Latest Teaser! Amazon Prime Video Asks India’s Top Comedians To STOP JOKING In Their Latest Teaser! 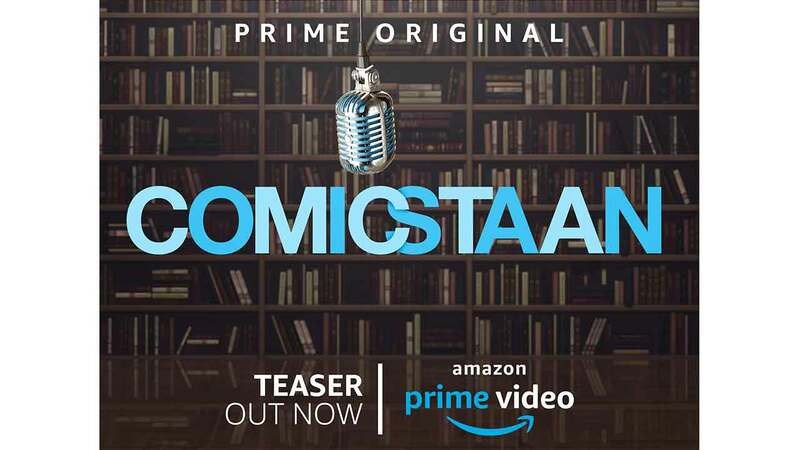 Amazon Prime Video’s next Prime Original series, Comicstaan is all set to take comedy to the next level in India! The upcoming reality series, created by Only Much Louder (OML), brings together some of the biggest comedians in India. The hard-to-miss teaser gives a glimpse of Biswa Kalyan Rath, Tanmay Bhat, Sapan Verma, Kaneez Surka, Kanan Gill, Kenny Sebastian, Naveen Richard, Sumukhi Suresh and Abish Mathew – as they prepare to redefine the future of funny! Featuring the top comedians of the country, the short teaser intrigues the audience to know more about the upcoming Amazon Original. Showcasing the biggest comic artists with tapes on their mouths, the teaser asks the comedians to shut up and make way for the future that is touted to be funny. While the mouths of Biswa Kalyan Rath, Tanmay Bhat, Sapan Verma, Kaneez Surka, Kanan Gill, Kenny Sebastian, and Naveen Richard are shut, Sumukhi and Abish Matthew look confused in the teaser. Brining together the talenthouse of Indian under single roof, Comicstaan promises to be a laughter riot. While the teaser doesn’t divulge much details, the short glimpse definitely stirs the excitement of the audience. Stay tuned for the trailer release on June 26, 2018. Amazon Prime Video has the largest selection of latest and exclusive movies and TV shows, stand-up comedy, ad-free across Indian and Hollywood movies, US TV shows, top/popular Indian and international kids’ shows, award winning Amazon Prime Original shows along with content from top Bollywood, regional, Indian and international studios – all available in one location/service.